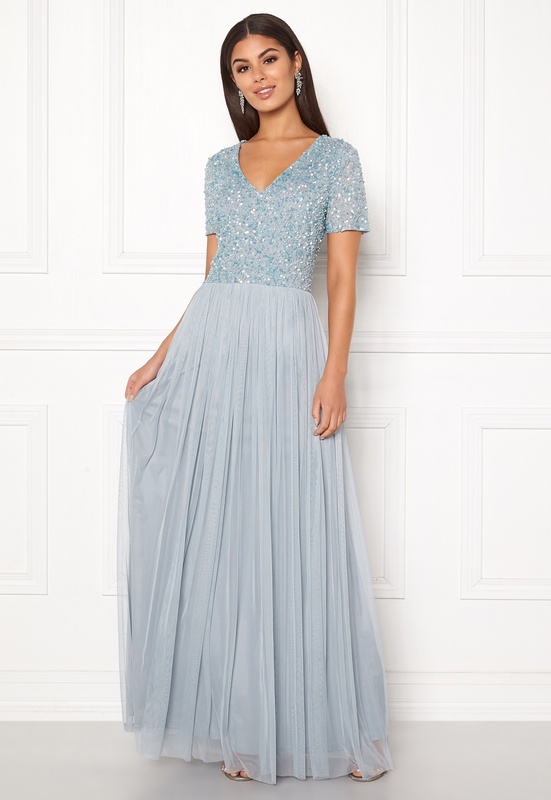 Beautiful long dress with sequin details from ANGEL EYE. - Made in a light stretch quality. - V-neck at front - Concealed back zipper. - Tulle skirt - Lining Back length from shoulder 156 cm in size S (UK10). The model is 173 cm tall and wears a size S (UK10). Dry clean only.